We're Australia's specialist IT content writing agency. What exactly does this mean? It’s simple. We turn your complex, jargon-heavy concepts into compelling content that audiences don't need a PhD in computer science to understand. We don’t want to brag (okay, maybe a little) but there’s not many folks who have an in-depth understanding of the tech industry coupled with the ability to write engaging and accurate copy. We saw a massive gap in the market for our nerdy ways and now? We’re the leading specialist IT content writing agency in Australia. We have over 25 technology clients serviced by an exceptional team who (we’re bragging again) are masters in the art of crafting copy that converts. More than that, we take the stress out of creating content for your business. We have tried and tested processes for briefing, reviews, and approvals. When you engage us, you get a team who manages the end-to-end process. We don’t write and run, which may explain why our clients have stayed with us for the long haul...we’re serial client monogamists. Above everything, our team creates clear, compelling content for industries that few people understand. From white papers to web copy and even case studies, we cover it all. Our services have been designed with your business in mind and we promise to elevate your brand, win you business and increase your exposure. No joke. Geeks, the lot of them. But boy, do they do us (and our clients) proud. In a previous life, before our great agency launched, Amy was the editor of news and opinion website the RiotACT. She's worked as the marketing manager at global software company Intelledox, produced feature articles for Management Today magazine, and led the communications team at Soldier On. She has a Bachelor of Journalism and Bachelor of Arts from the University of Canberra. 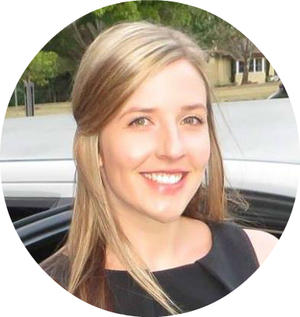 Fun facts about Amy: Amy reads business books in her downtime, she has a keen interest in robotics and virtual reality (we told you, nerdy!) and loves nothing more than travelling the world with her husband and business partner James. James is a consultant turned copywriter, strategist and business development lead. He is also an IT project manager, business architect and content strategist. James's obsessions include agile software development, user-research, writing words that convert, sales psychology and branding. Fun facts about James: James is obsessed with Bitcoin and cryptocurrencies (don’t mention either if you want to exit the conversation before 2034) and you’ll find him in the gym and sauna in his spare time. He excels at bid management, tender writing, proposals, sales, strategy, branding, entrepreneurship, consulting, business architecture and IT project management. Yasmin is an information expert with qualifications in editing and proofreading, librarianship, information management, research and project management. She has worked with words for many years, in settings including federal and local government, in the not-for-profit sector, in undergraduate and postgraduate education and in private enterprise. Yasmin also runs information management consultancy Altitude Information. Fun facts about Yasmin: Yasmin is Amy's MUM! The apple doesn't fall far from the tree. Yasmin is a ninja content writer who specialises in tender responses, copy editing, desktop research and proofreading. Angela is a freelance writer and consultant with a background in education and government. She has an Honours degree in English and also studied law and history at university. After a career in education, Angela successfully made the transition to working for the federal government. Angela loves to research and craft quality writing on just about anything. She also enjoys editing and proofreading. Angela also runs a consulting agency for public sector job seekers. Fun facts about Angela: Ok, we’re going to come clean…Angela is James’s mum. Yeah, we know...we might be the only agency that employs both sets of parents, but what can we say? The talent is in the gene pool! Angela is exceptional at career coaching, resumes and selection criteria, government policy, management, team building, leadership, education, health and medical research, literature and media. Simone is a freelance content writer who has studied linguistics and foreign languages, business administration, and is in her final semester of her Graduate Certificate in Communication. She has also completed an editorial and communication internship for an online magazine. Fun facts about Simone: Simone is French obsessed. Seriously, the gal lives for their lingo, food and culture. The quickest way to her heart is to lure her with French pastries and the promise of work centred around her favourite topics: tourism, culture, health, wellbeing, and foreign languages. 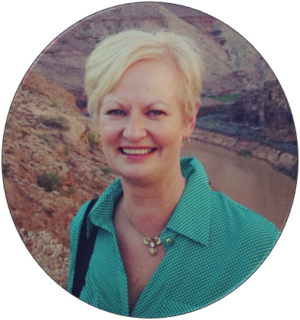 Laura is a management consultant specialising in change and transformation. She’s a skilful communicator with a flair for translating complex and technical business concepts into compelling stories. She has led communications activities for business audiences across a variety of formats including business writing, storytelling, presenting, data analysis, report design, and training design and delivery. Fun facts about Laura: Laura, like all of our writers, is super smart. She has a Bachelor of Psychology (Honours) from the Australian National University and is exceptional at case studies, psychology, change management, learning and development, strategy, technology and government. PUT THESE WRITERS TO WORK!